Save up to 68% off the cover price! The world’s largest marketplace for music collectibles and music memorabilia covering all genres. 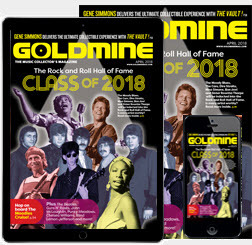 Articles about and interviews with recording stars of the past and present. Reviews of new releases and reissues. 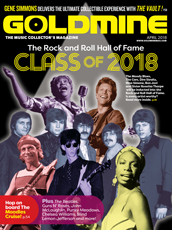 Music collecting news and tips based in the rock and roll era. 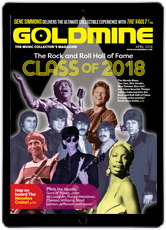 Goldmine has been the choice for music collectors and music fans since 1974. 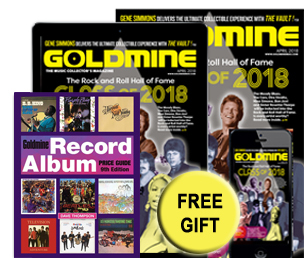 Subscribe now and get a free gift – Goldmine Record Album Price Guide, 9th edition – providing more than 100,000 listings, detailed descriptions and updated values of vinyl records! Goldmine is published 12 times a year. Orders for existing subscribers will be added as a renewal.